SEO (Search Engine Optimization) is critical for your website to display highly in organic (non-paid) search results. We know the proper tools and techniques to use to get your website moving up the page rankings. Get Your Website to the 1st Page of Google! Good, effective and long-lasting Search Engine Optimization takes time and effort. The most critical aspect of SEO is developing the proper strategy. SEO strategy starts with doing the research necessary to identify the most relevant keywords for your business. We use Google’s tools to help identify the most searched keywords for your organization, using them as a basis for SEO as a whole. We then use the most up-to-date SEO tools and techniques to optimize your website from both a readable content standpoint as well as the underlying code. If you have a local business you want your SEO to be targeted to your specific local market. We do the analysis required to make sure your Local SEO plan is comprehensive and includes your specific demographic area. Boost your Local SEO listing. Making sure your company ranks high in Google for local searches is critical for small and medium sized business whose primary customer base is from the local community. We utilize the tools and techniques so that you will be found by those potential customers. Our Local SEO service provides Google, and other search engines, with the proper information to display your company in the local search results. Being locally visible to your target audiences will bring more clicks to your website, and more customers through your door. We offer four options for our Managed SEO services, pertaining to the size and scope of your website and the online impact you’re looking for. We focus on driving traffic to your website, so you can concentrate on growing your business. ✓ Perfect for a business that has just launched their website and looking to get recognized by the search engines. ✓ Fits well for a sole business owner or small business wanting to gain organic page rank for a niche set of keywords. ✓ Ideal for a business looking to increase their organic search rankings for specific keywords, particularly in a local market. ✓ For businesses who want to optimize their website and improve page rank for a number of keywords in a highly competitive marketplace. Do you need search engine optimization for your website that doesn’t fit with the above options? No problem! 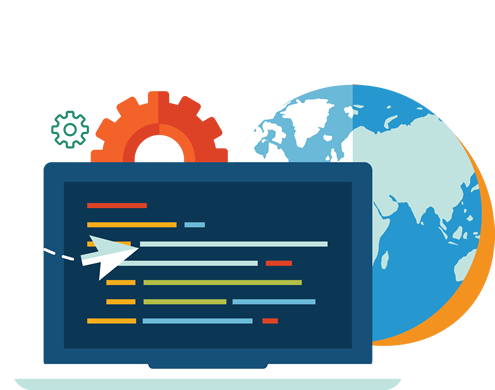 Whether your website has 100s (or 1000s) of pages or you’d like an e-commerce (online store) website search engine optimized – we can help. Just get in touch with us to discuss details and we’ll put together a detailed SEO proposal specific to your needs. Search Engine Optimization can be confusing. We take the mystery out of SEO by taking the tech out of the conversation and explaining how SEO works in a real world sense. We think that the more you know, the more you'll understand and see the value in our Managed SEO strategy. If you have any questions, feel free to ask away! We're here to help maximize your page rank results and grow your business. Research is the key in determining the basis for SEO strategy as a whole. Having your website come up in Google, Bing, and Yahoo! search results for the most popularly searched keywords and phrases is critical to the success of your business. We have access to the right tools and know how to use them to discover the keywords that will make the most impact on driving customers to your business. We'll set up Google Analytics on your website and give you online, real-time access so you can see the traffic coming to your site, from where they're coming, how they are finding your website and how they are navigating your site – along with a myriad of analytical data to help determine success of SEO efforts and determine if there are any areas of improvements. We believe that you should see our SEO work in action, because we're proud of it. 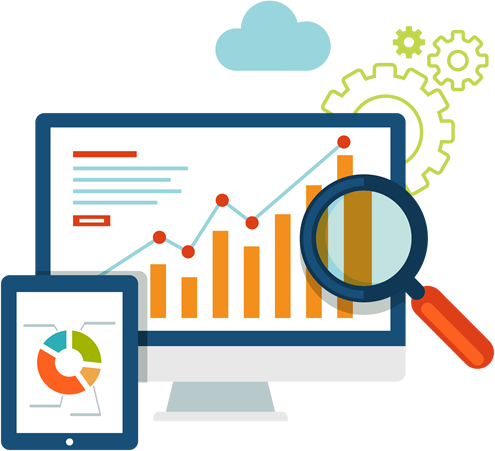 We provide you with detailed keyword page rank reporting for Google, Bing & Yahoo! so you can see exactly how your website ranks for your targeted keywords and phrases. Because we track your keyword rankings daily, you can see the progress that's being made on an ongoing basis. If improvements can be made, we'll let you know and suggest strategies to increase organic page rank for your website. Take a Look at Some of Our SEO Work. We can talk about our Search Engine Optimization services all day, but the proof is in the putting. Take some time to review some of our recent SEO successes. Feel free to Google the keywords below and see the success of our SEO services for yourself. The Bergand Group is a mental health and addiction treatment facility with locations in Baltimore and Harford Counties. We set up a Local SEO strategy to focus on their primary target areas: Baltimore County, Harford County, Carroll County and Baltimore City. Tim Kyle Electric is a residential and commercial electrical contractor centrally located in Westminster, Maryland. We utilized Local SEO strategy and techniques to reach their target markets: Carroll County, Fredrick County, Howard County and Baltimore County. Looking for SEO in Baltimore, Maryland? Learn how we can help.